We’re very pleased to announce Scylfing Sock, an addition to our range of British wool yarns. Spun to our own specifications, it’s a yarn with a single purpose in mind – hard-wearing, eco-friendly and dazzlingly beautiful socks. Scylfing Sock is a blend of 50% Bluefaced Leicester, 25% Gotland and 25% Wensleydale. 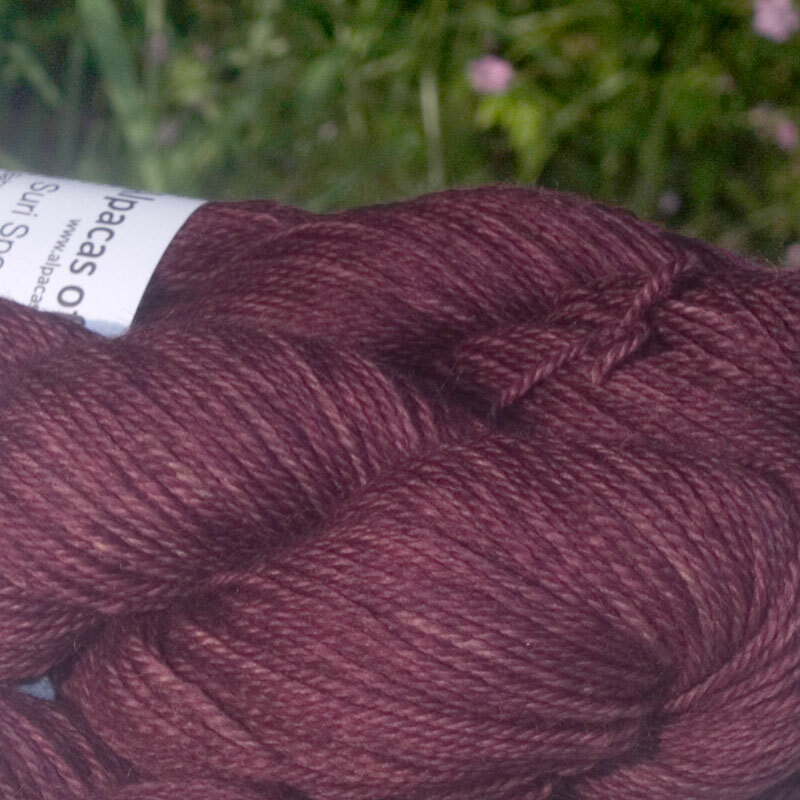 The fibre is from British sources, non-superwash, and the yarn is spun by Laxtons in Yorkshire. It’s a 2/7Nm yarn (the same as our Scylfing 4-Ply yarn) but spun at a higher twist than normal, which makes for strong, long-lasting socks with great wearability. 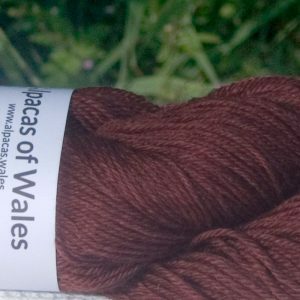 The yarn is firm and crunchy in the skein, and knits up with a smooth, squishy handle at 8 to 10 stitches per inch, giving a chunky fabric with a wonderfully woolly character. The combination of three lustre longwools gives Scylfing Sock a superb lustre and colour responsiveness, with the grey Gotland fibre giving the colours an unparalleled depth. 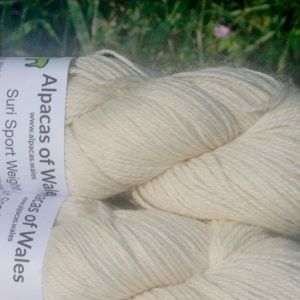 Initially, Scylfing will be available in 18 colourways. Most are based on our current Scylfing production colourways, but we’ve adjusted them a little to show off the Wensleydale bling. Expect a little brighter, a little more intense. We’ve also included some neutrals for formal business and more understated socks, and a handful of colourways inspired by Pantone’s Fall 2019 palette for more trendsetting toes. Scylfing Sock will be available from the Triskelion Yarn website from Monday 13th August, and will be available in person at the Swansea Festival of Stitch, where we’ll have a stand at the Maker’s Market on the 18th and 19th August in the National Waterfront Museum. We’ve reinstated a major, much-missed feature to the website as of today: Triskelion Reward Points. 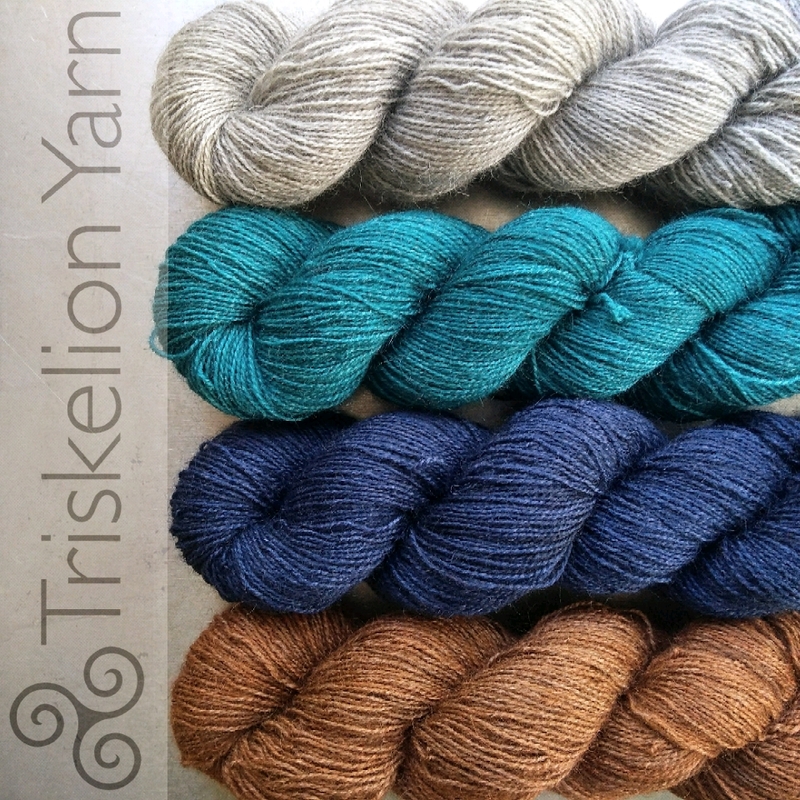 It’s a points-based system, like Airmiles and other store/credit card type rewards, that gives you a discount on any future Triskelion products bought through the website (and hopefully in-person at shows, in time). We did have a system running in 2013-2014, but due to circumstances beyond our control, the whole thing went belly up and took everyone’s outstanding points with it. Rest assured, that won’t be happening this time, as the same people who power our website have provided the framework for the new Rewards system. Initially, it will operate pretty much as a 5% discount, i.e. for every twenty pounds you spend, you’ll get one pound off of your next order. £1 spent on the website earns 10 Rewards points, and you get a £1 discount for every 200 points. As a caveat, there may be times when the baseline £1 = 10 earned points rule may vary, so selected product lines *may* offer a lower rate, whilst others may operate at a higher rate. Triskelion Reward points accumuate and can be cashed in at any time – when you go to the checkout to pay, it’ll give you the option of using your earned Rewards points against up to one third of the total order value. The product pages and the cart all show how many reward points you’ll get, and you can check how many reward points you’ve earned by going to the Reward Points tab on the My Account page once you’ve logged in. Triskelion Reward points are redeemable against anything in the shop except for shipping. 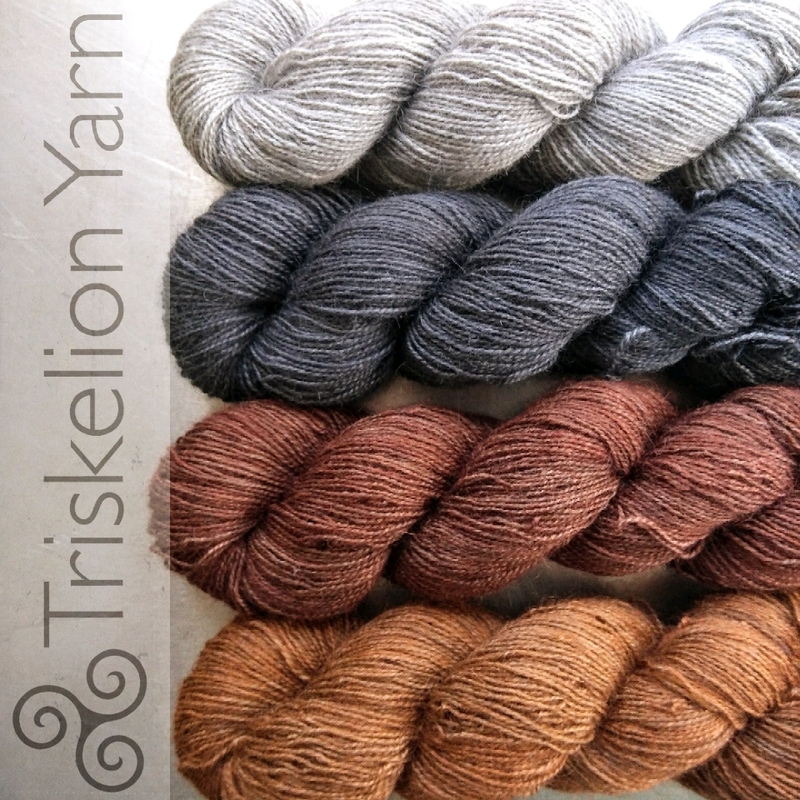 Anyone registering with Triskelion as an online customer from now on will also get 600 points thrown in for free (i.e. £3 off your first purchase from us if you want to cash your points in straight away) and, if you review any products you buy from us, you’ll get 1000 points for your first review as a thank-you. If you want to register with us as an online customer and haven’t, you can register here. At the moment, this only applies to online customers buying through the Triskelion website. We want to be able to offer Rewards to customers buying at shows, so we’re currently assessing the feasibility of this. 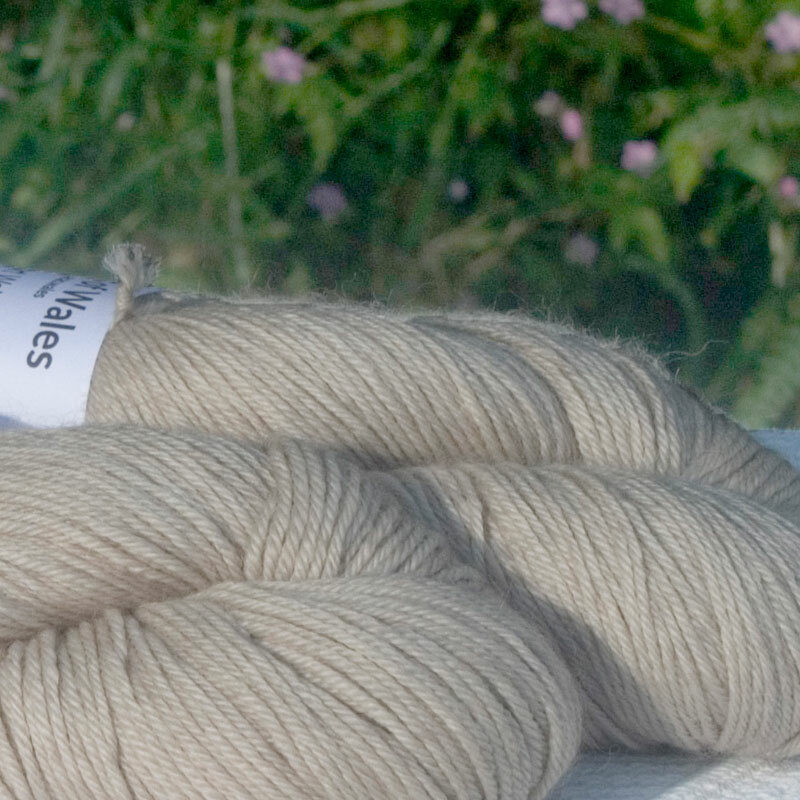 We’re hoping to have something in place by the time we get to the Fibre East show in July. 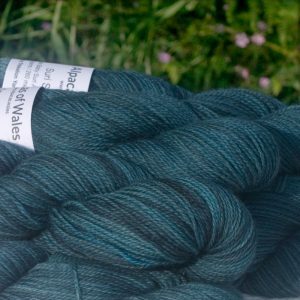 If you’re an online customer of Triskelion Yarn, all of the orders you’ve placed with us since we started our online shop are now retrospectively eligible for Rewards, and we’ve assigned a large proportion of those points to your balance. If you go to your Rewards page, you’ll find a tasty stash of points ready for you to splash out on your next order (or more!) with us. This would pretty much recover any losses during the Great Points Catastrophe of 2014, and ignore any points you redeemed. So, a bargain! The points scheme is just one part of a more comprehensive Triskelion customer loyalty program coming in the near future. 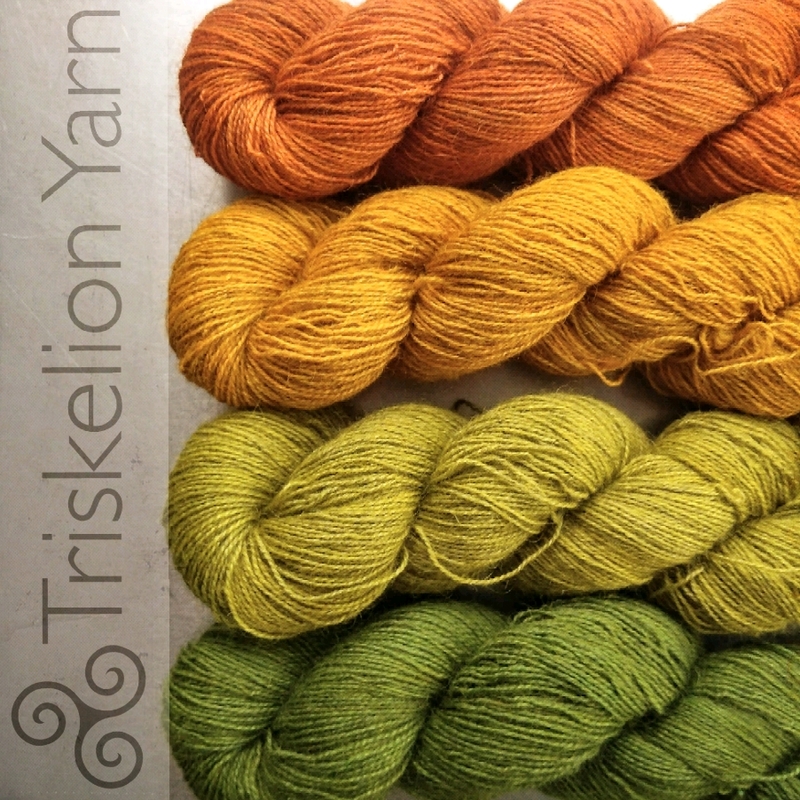 The full Triskelion Rewards program will require being a newsletter subscriber, so please do make sure you’re registered and have opted in. 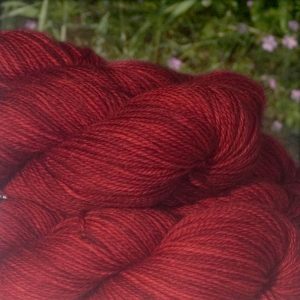 To be clear, the basic points scheme doesn’t require you to be a newsletter subscriber; only the full Triskelion Rewards program will have that requirement. If you have any questions about the scheme, please do get in touch with us via email or any of our social media channels. Now this is something really special! Take a look a this gorgeous yarn from the wonderful welsh alpacas of Alpacas of Wales! It is 70% Baby Alpaca and 30% Suri Alpaca so is incredibly soft, with a superb handle and a silky suri sheen. 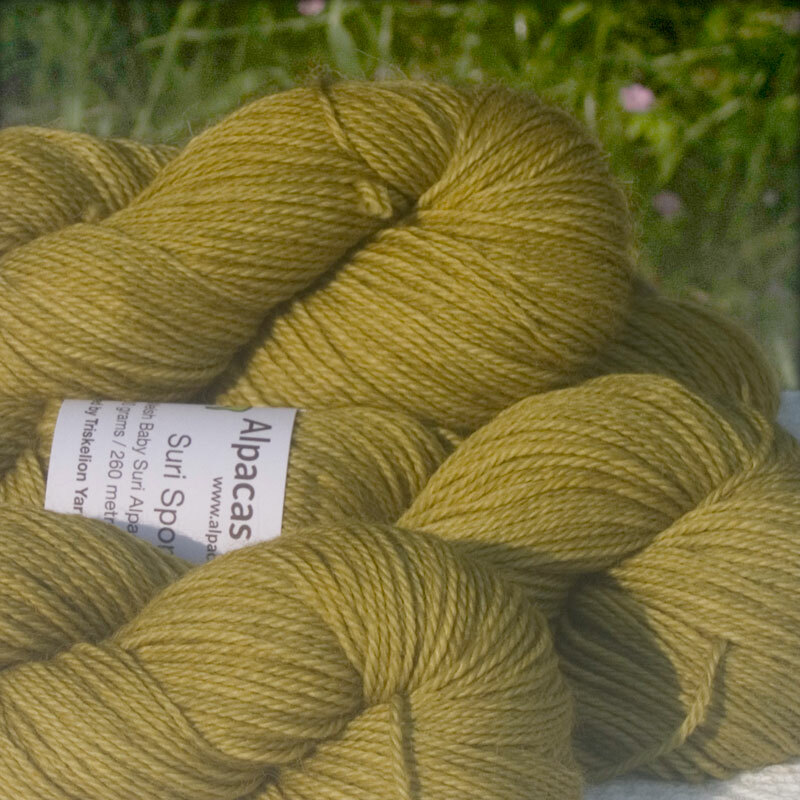 It is a completely unique, designed by Caerthan (Triskelion) and Susan (Alpacas of Wales), and dyed here at Triskelion with its own set of colourways. 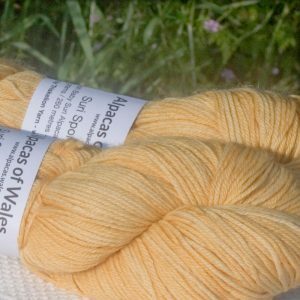 Suri Sport is a beautiful knitting experience – ideal for small projects and accessories, and would be a perfect Christmas present for the discerning knitter, although once you have your hands on it you won’t want to give it up! 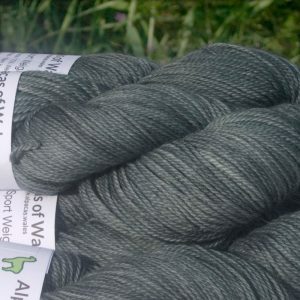 Semi solid blue-grey. Pedryn is welsh for Blue Petrel. 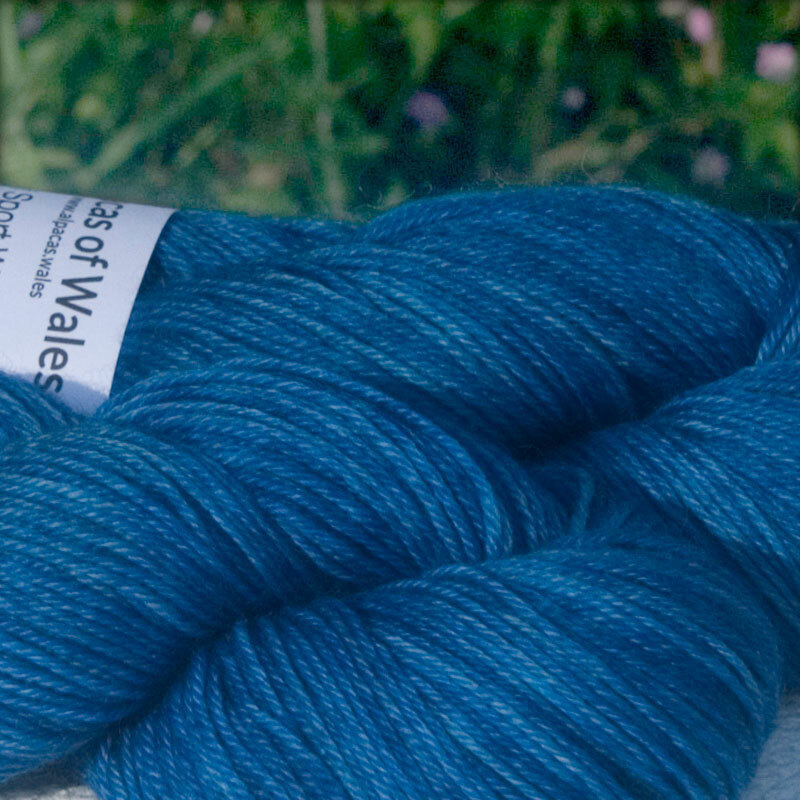 Glas – semi-solid light to dark intense summer blue. 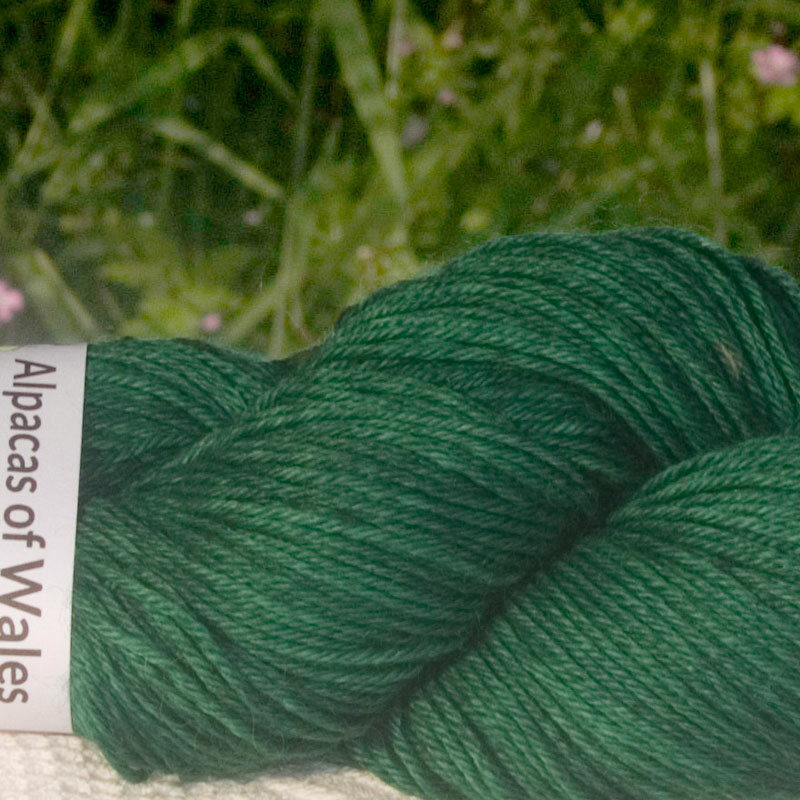 Olewydd – Semi-solid olive green. 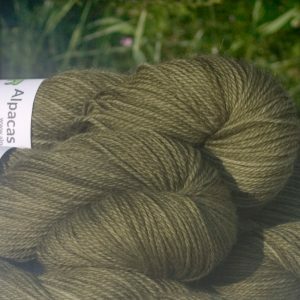 Rhostir – semi-solid moorland green-yellow. 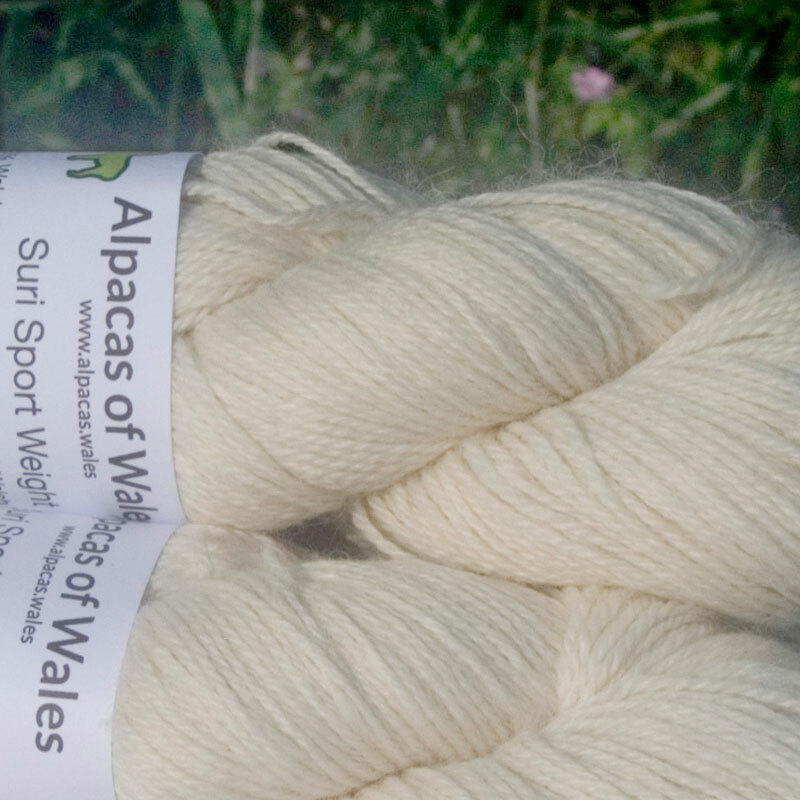 Undyed – the beautiful natural warm white of pure alpaca fleece.